Life is hard for Dino Riki, a kid growing up with the dinosaurs. 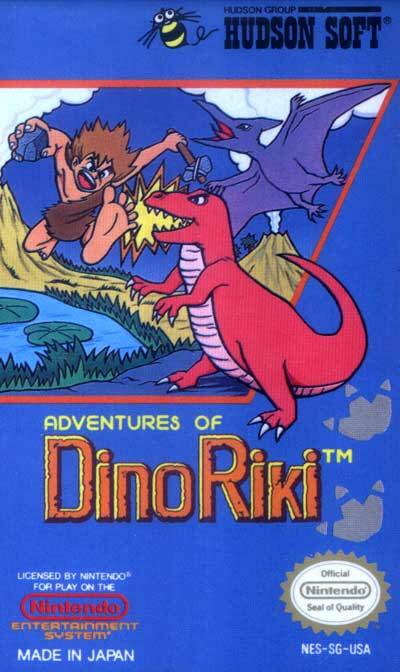 Dino Riki can jump or shoot weapons (fireballs, axes, boomerangs, and a superfire spread-shot) to kill the various enemies around him. He progresses through three types of worlds (land, ruined city, and mountains) and plays through four worlds total. Worlds one, two, and three are one stage each and have checkpoints, but world four is four stages with no checkpoints. At the end of each stage, Dino Riki must face a boss.